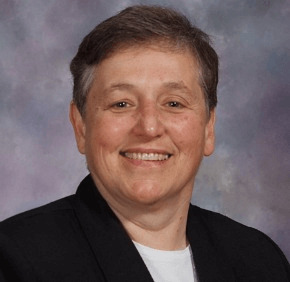 A funeral Mass for Sister of St. Francis of Philadelphia Rose Monica Katusz, a Dundalk parishioner and alumna of The Catholic High School of Baltimore, was offered June 2 at Our Lady of Angels Convent Chapel in Aston, Pa. Sister Rose died May 30 at Assisi House in Aston. She was 68. Born in Wilkes-Barre, Pa., Sister Rose grew up in Dundalk and was a parishioner of St. Rita. Soon after she graduated from Catholic High, she joined the Sisters of St. Francis of Philadelphia, professing her first vows in 1968. Sister Rose earned a bachelor’s degree in English and, later, a master’s degree followed by a doctorate in chemistry. She ministered primarily in education and served in the Archdiocese of Philadelphia for 38 years. Her missionary work took her to Africa, 1995-2002 and 2008-12, and Alaska. In 2012, she received an award from the Children of God Relief Fund recognizing her help in establishing Lawson High School in Nyumbani Village, a community in Nairobi, Kenya, that serves elders and orphans left behind by the AIDS pandemic. In 2014, Catholic High awarded Sister Rose the Franciscan Heritage Award, which recognizes alumnae for serving the poor, advancing social justice and living out the Franciscan spirit.